So, after the release of Lifeline it has been fairly quiet on the State Of Decay side of things. Other than the fact that Undead labs have just confirmed that the title is going to be getting an overhaul with a huge dose of 1080p injected. The remaster version is allegedly on Xbox One and the PC sometime around spring 2015. “State Of Decay Year One Survival Edition” will have a vast improvement on visuals, a bundle in the two DLC’s (Lifeline & Breakdown) and as well as Introducing some new elements implemented to the core gameplay. "We wanted to address some of the animations, generally do a lot of polish on that, and just generally improve on the environment textures," Jeff Strain, founder of Undead Labs said. "We're also taking some of the base management features from the Lifeline DLC and integrating that into the core game, and also taking some of the heroes and characters that were introduced and allowing them to be playable characters from Lifeline and Breakdown as well. And we're going to be bundling Lifeline and Breakdown as well. So this will be the definitive edition of State of Decay." There was also confirmation that Lifeline characters like Major Alicia Hawkes, Sergeant Kilohana "Kilo" Young, Private Royell "Vince" Vincent, and Sergeant Kelly "Sasquatch" Eldridge will be brought over to the main State of Decay game. There was also heavy hinting towards the future of the State Of Decay franchise too. 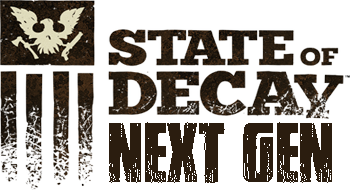 "This is the first next-gen step for the State of Decay franchise. Obviously we have big plans for this franchise going forward into the future, and getting it here gets us to the baseline we need to be to start pursuing that."